We have been spotting park-specific reusable bags at both Disneyland Resort and in Disney World. 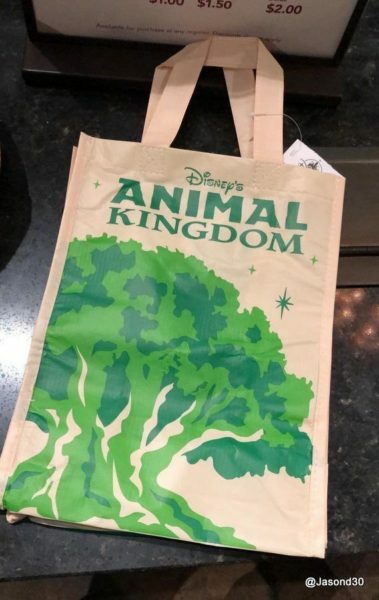 Yesterday, we shared a look at the new reusable bags in Disney’s Hollywood Studios, and today — thanks to DFB Instagram friend @JasonD30 — we are checking out the new bag design for Disney World’s Animal Kingdom. We just shared photos of the reusable bags which have arrived in both Disneyland and Disney California Adventure in Disneyland Resort. And today we’re taking a look at the bags which have arrived in Walt Disney World, specifically for Disney’s Hollywood Studios.